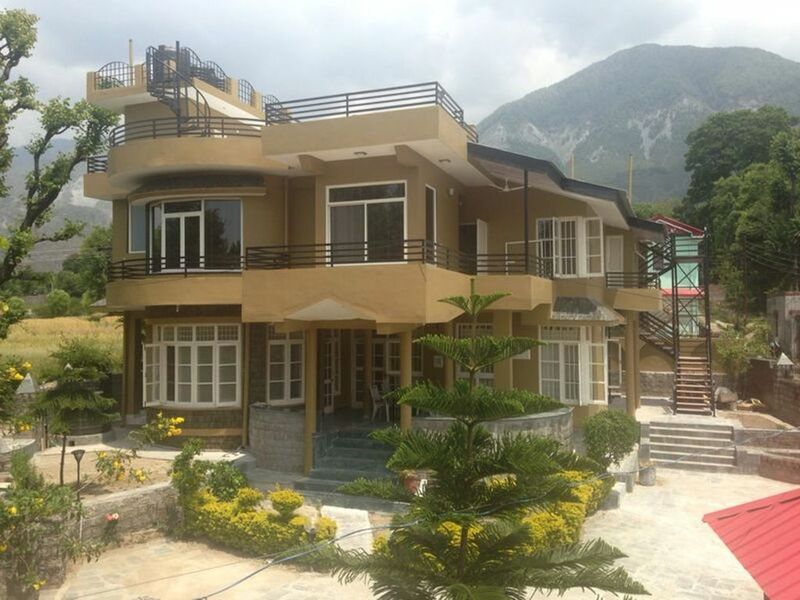 Home stay resort with 5 rooms and a suite for maximum 18 people !! This is a 6 bhk cottage with 5 deluxe rooms and 1 premium suite!! The accommodation has 7 washrooms attached with rooms and 1 is common. In house cook facility is available . The cottage has 1 living room , 1 kitchen , dining room and 2 terrace with snow clad mountain views . The property has parking inside the premises and a garden too. Home stay resort !! no loud music after 10 30 pm / linen and towel change only if guest is staying more than 2 nights. will be changed after 2nd day! !